Alaska has just released an FAQ on their corporate blog that addresses a lot of questions regarding the Emirates Award Redemption last night. If you’ve missed this morning’s news, Alaska MileagePlan released a new award chart for Emirates business and first class redemptions, doubling some redemption prices. For example, North America to Africa is now 400,000 miles roundtrip in first class. A lot of people were rightly annoyed, me included, especially since I had been saving for an Emirates First Class Award. Scott at Travel Codex has a very rational analysis on these awards. He says this was an unsustainable award, and that the concept of loyalty is arguably tossed out the window when the only thing you’re doing are opening credit cards and buying Alaska Miles to get Emirates at 90% off retail price. While exploiting is a strong word, most people would agree that this award was a good value, and had not changed since Alaska launched award redemptions with Emirates. Actually, it might not might be – just take a look at this viral Mashable article on maximizing the number of Emirates segments you flew. I doubt that the internal reimbursement rates with Emirates had changed with this date. If so, they would have been able to shift the blame to Emirates, as well as giving advance notice. Other points that could redeem for Emirates First Class, such as Qantas, Korean, and JAL, have not been affected. Alaska can get away with these changes, because there is no other option to redeem for Emirates First Class, arguably one of the most aspirational redemptions available. It’s not like the domestic 25,000 economy class North American award, which will not change for a very long time because everyone other mileage program offers it. They’ve offered to refund miles purchases made before March 1 due to the fact that many people have purchased Alaska miles specifically for this redemption, and I think that is a reasonable move. When people complain about this, however, I think there’s not really anything they can do. Will I and others stop getting the MBNA Alaska Airlines MasterCard which most Canadians did to access Emirates First Class? No, I won’t. It offers 25,000 bonus miles upon approval. If I could get it 20 times in a day, I would. Even if this redemption is devalued, I’m still going to pick up these miles for a ridiculously low cost to redeem for on Cathay Pacific, Qantas, or any of their other partners which still have great premium class products. Will I stop putting everyday non-AMEX spend on this card? Probably. But for most people that read BoardingArea, that’s a laughably small percentage of how they acquire all their miles. 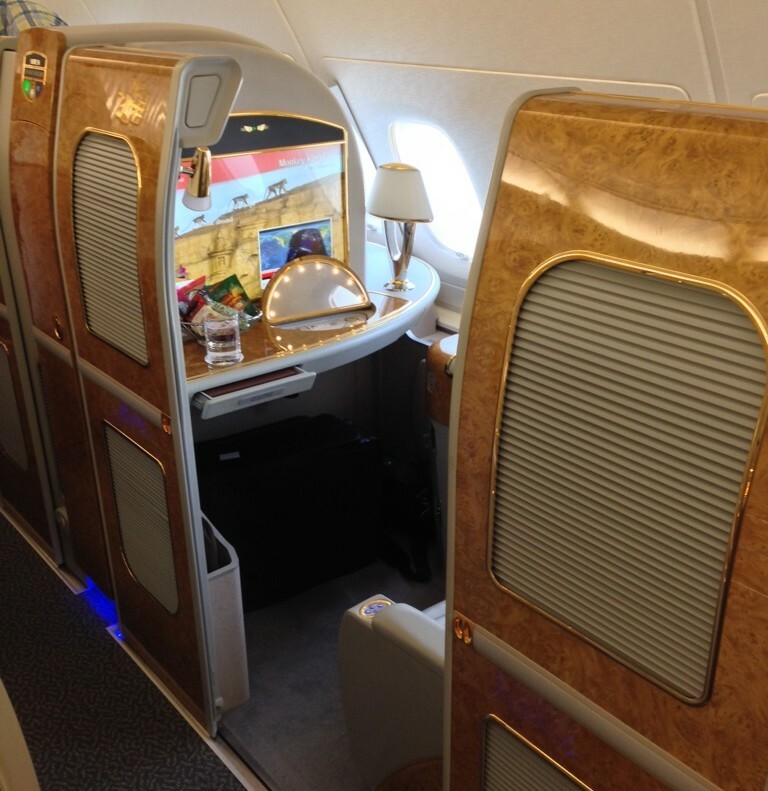 Keep in mind, this devaluation doesn’t make Emirates First Class impossibly inaccessible. It just makes it harder.